Meal plan. It'll save us money on groceries and less eating out. Finance meetings. We are going to actually sit down together and look at where our money went, and see where we can cut costs. We already scheduled these in for Sunday nights. I'm excited for this new year to start! I made a Pinterest board for my 2015 goals and projects - feel free to follow along! 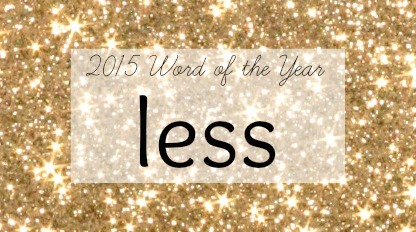 Do you set resolutions or pick a 'word of the year'? 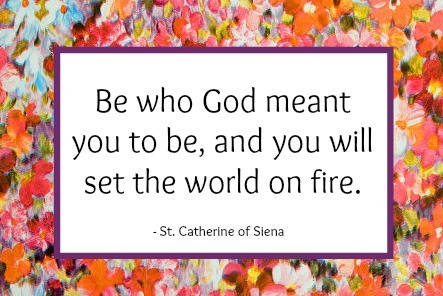 Your goals are wonderful for any time of year! Can't wait to see how the year goes for you!! Love the idea of finance meetings each week. I think my budget would definitely benefit from regular meetings about it. Good idea & Happy New Year!! I LOVE these goals! What a great list! You've reminded me we used to do family game nights - I need to schedule these in for us again! I love that idea of word-of-the year, Katie! I think less is a great way to create space for better family time :) Finance meetings can be so tough -- Sunday nights are a good time to do it -- do you think you will do monthly meetings, or weekly? It is so hard to have a "normal week" with finances! Please share what you learn and how they go! Great word!!! I love that you fit it so nicely into all these things! I definitely need to do less too! I love your idea of financial meetings, discussing where your money goes. That fits perfectly into one of my new year goals! We may have to adopt this idea! !